“The trial proceedings against Dr. Küni ignored the most basic of international fair trial standards, and failed to take into account the arbitrary nature of the charges against him”. Deputy Secretary General Gunnar Ekeløve-Slydal is currently on mission to Turkey. He is part of an international trial monitoring group, monitoring the trial against Dr. Serdar Küni, a medical doctor who provided medical treatment during clashes in Cizre in 2015 and 2016. Need to know more? Read more on Al Jazeera about the fighting in Cizre here. [Cizre, Turkey, 25 April 2017] Dr. Serdar Küni, a medical doctor working in the Cizre office of Human Rights Foundation Turkey, was convicted of section 220/7 of the Turkish Penal Code, “aiding and abetting terrorist organizations”, on 24 April 2017 during the second hearing of his trial. The court sentenced Dr. Kuni to four years, two months imprisonment, but released him from prison pending his appeal. No written judgment to explain the ruling is yet available. The charges were based on allegations that Dr. Kuni provided medical treatment in a secret location to individuals who were said to belong to a terrorist organization during the clashes in Cizre between 2015 and 2016. His arrest, detention and prosecution is part of a wave of arrests, dismissals and other legal actions taken against human rights defenders, medical professionals, lawyers, journalists, and academics since July 2015 in the southeast, and throughout Turkey after the failed military coup in July 2016. We, members of the international delegation observing the court on 24 April monitored this trial because of concerns about the targeting of members of the medical profession for carrying out their professional responsibilities. Our role, as presented to the Court in advance, was to observe the extent to which international fair trial standards enshrined in international law and binding on Turkey, were applied. Our conclusionsare that the trial proceedings ignored the most basic of international fair trial standards, and failed to take into account the arbitrary nature of the charges against Dr. Küni. Our principal concerns about the trial process are summarised below. 1. 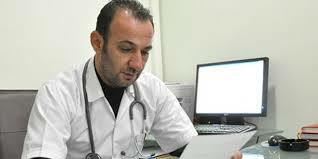 Arbitrary arrest and detention: Dr. Küni was accused and ultimately convicted for providing medical treatment to patients. However, doctors cannot refuse to treat patients on the basis of their known or perceived affiliations; a doctor is ethically bound to treat individuals who require medical treatment. To deny medical treatment would have forced Dr. Küni, to breach fundamental aspects of the code of medical ethics, recognised worldwide. 2. The admissibility of evidence: The evidence presented by the prosecution was limited to statements which should have been determined to be inadmissible by the Court. a) Use of anonymous witnesses: The prosecutor, in his opening statement referred to ‘evidence’ provided by anonymous witness ‘Vatan’. As this witness was never produced in Court, there was no way for the defence to test the veracity of what was alleged, to know the conditions under which the evidence was taken, or indeed to confirm that ‘Vatan’ was a real person. Furthermore, the information contained in the statement of ‘Vatan’ as summarised by the prosecutor, appeared to relate to allegations concerning events in 2012, which were outside the timeframe of the charges set out in the indictment. b) Use of evidence allegedly procured by torture: the other witness evidence concerned four individuals each of whom alleged that they were forced to sign confessions under torture. Medical reports produced by the prosecution to demonstrate that the confessions were voluntary were contradicted by a medical expert, who pointed to numerous flaws and inconsistencies. No further investigation of the torture allegations is known to have taken place, despite Turkey’s obligations to do so under the Convention Against Torture and the European Convention on Human Rights. 3. Proof beyond a reasonable doubt: There was a lack of evidence put forward by the prosecutor. Nonetheless they took the decision to convict Dr. Küni. This contravenes the fundamental principle of the presumption of innocence; a conviction should result only when the evidence of guilt is beyond a reasonable doubt. Dr. Küni was on trial as a single doctor, but the manner in which the legal proceedings were conducted have potentially wide-ranging impacts. Through this case, the prosecution has sought to criminalise the basic duties and ethics of the profession, which is in and of itself an act of intimidation and harassment. We are concerned about the precedent this case will set across the medical profession. Our conclusions about fundamental fair trial violations also call into question the impartiality and independence of the judges in this case. Read article "Ny siktelse mot fengslet blogger trukket"